Underwood & Underwood, Copyright Claimant. [Silent protest parade in New York City against the East St. Louis riots, 1917]. New York, ca. 1917. Photograph. Retrieved from the Library of Congress, https://www.loc.gov/item/95517074/. Amidst the patriotic fervor whipped up by President Woodrow Wilson’s declaration of war against Germany was the continuing racial violence and racism against African Americans. At the beginning of July, a bloody riot in East St. Louis, Illinois left an entire black neighborhood decimated and countless residents murdered, maimed, and left homeless. 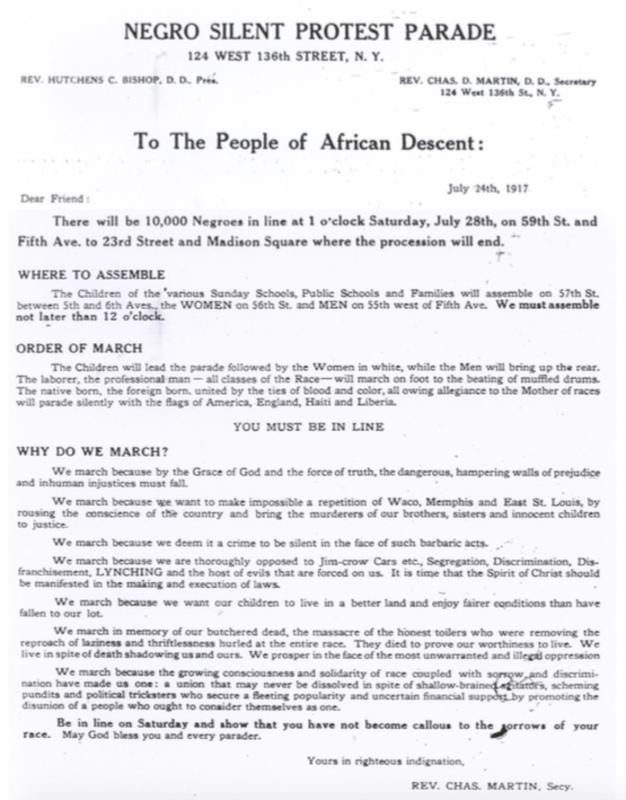 In response to the lack of justice for this incident (as well as others in Memphis, TN and Waco, TX) the NAACP organized a silent march down Fifth Avenue. 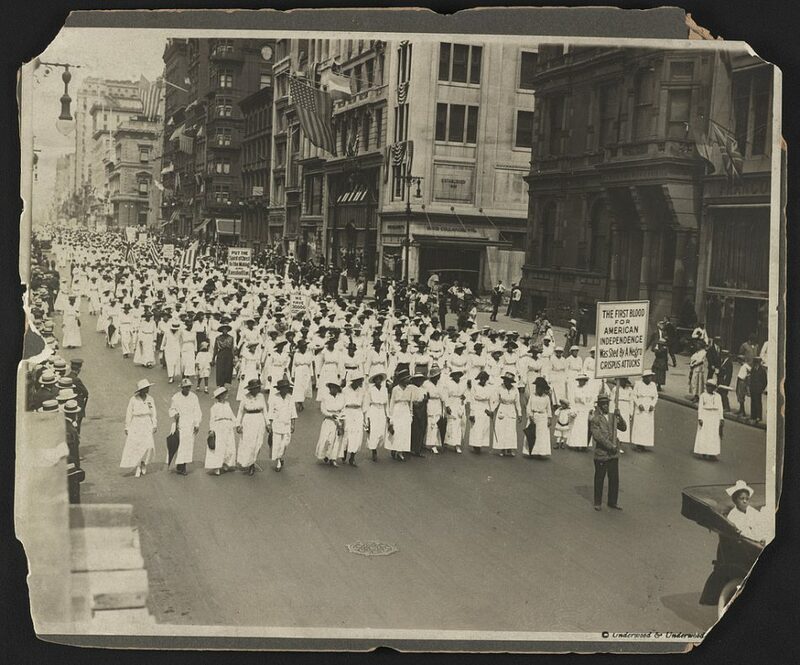 10,000 African Americans gathered on July 28, 1917, dressed in white and carrying banners of protest or American flags, and marched down New York’s most famous thoroughfare. See more rare photographs from Yale’s Beinecke Library, which staged an exhibit on the march to mark its 100th anniversary.